For a giant company such as Google which tried to give mobile phone retailing a new spin, its a great feat for Google Â to admit that it has failed in the endeavor. A couple of months after selling its Nexus One phone through its own web store, Google will soon stop doing so and use the current site for the web store for showcasing other Android phones available worldwide. In short, Google is shutting down its web store and will start selling Nexus One via the usual retailing process. According to Google, when their web store was launched, its main objective was to innovate in mobile phone distribution as well as give people a quicker and easier way of buying an Android phone. Â But obviously, selling the Nexus One exclusively through the Google web store didn’t quite took off. Although Google would not release official data on how many units of Nexus One have been sold, we can pretty much assume that it was not quite many. And Google decided that it would be best for them to start selling the Nexus One by adopting the same model adopted for its European distribution of the Nexus One where it partnered with Vodafone retail channel. 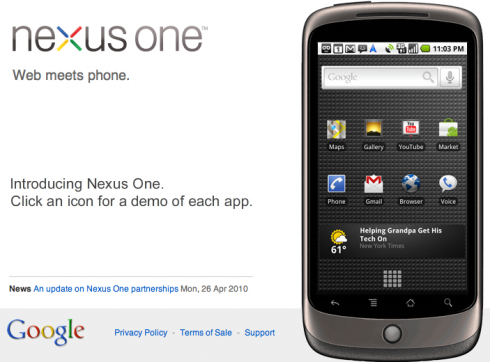 Will this move bring more positive effect to Nexus One? Â It might or might not. One thing is for sure, mobile phone consumers are not so solved into the idea of buying a mobile phone without trying or seeing them in the flesh first. Well, unless of course if its an Apple product like the iPad which was able to sold out for around 1 million units, majority of which were done through online pre ordering. Aside from this, U.S. consumers are still not quite open with the idea of buying a mobile phone without a corresponding Â data plan. What does Google need to do now? Â Seek out more mobile carriers and team up for distribution agreement of the Nexus One. Earlier today, mobile analytics company Flurry published a report about the dismal performance of the Google Nexus One in terms of its day 74 sales from the first day it was released. 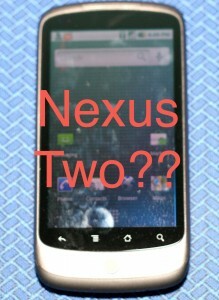 According to the report, Google was able to ship only 0.135 million units of the Nexus One. Flurry then compared this with the day 74 sales of both the iPhone and Motorola Droid which were 1 million and 1.05 million units respectively. The report certainly is not a good publicity for the Nexus One especially since Google hasn’t gone all out in terms of marketing its first major fully branded handset. A couple of hours later, Google announced that unlocked version of the Nexus One that is compatible with AT&T 3G network and Roger Wireless in Canada is now available for sale at the Google online store. Â In addition, this new version of Nexus One will also run on GSM operators worldwide. I’m not saying that Flurry’s report has anything to do with Google’s decision to announce the availability of the AT&T and Roger Wireless compatible Nexus One versions. Â But we just can’t discount this fact since Google certainly wants to protect its investment from any bad publicity, whatsoever. Google also announced that this new Nexus One can now be ordered from Google’s web store and can be shipped to Canada. As you all know, Â Google only ships the Nexus One to the U.S., HongKong, Singapore and the UK. The AT&T and Roger Wireless compatible Nexus One get the same price as the previously released unlocked Nexus One – $529. FarmVille fans who also happen to have the Google Nexus One, rejoice! Recently, some modders were able to install the HTC Desire ROM that Â brings HTC Sense and Â Flash 10.1 support to Google’s flagship mobile phone. If you still don’t believe that HTC Sense on the Nexus One can support Flash 10.1, well here’s a proof – Redmond Pie has posted a short video showing FarmVille being played on Facebook.com on the Nexus One browser. The result, although not as flashy and clean as you may expect is still something worthy of perhaps rooting your Nexus One and going through all the trouble of installing the HTC Desire Â ROM. Well, I mean if you’re a huge FarmVille fan and you couldn’t stop playing it. Well, here’s your chance to play the game even while on the go, on your Â the Nexus One. If you don’t want to go through the trouble of installing the ROM, you might want to wait up for future upgrades of Android OS as it is rumored to have Flash capability already. But if you can’t wait that long, follow these steps to install the HTC Desire ROM with HTC Sense UI on your Nexus One. I’m not really thrilled by the fact that installing the HTC Desire ROM on Nexus One will bring Flash 10.1 which will allow you to browser flash-based sites including FarmVille since I’m no t going to take the chances and brick my phone. What I’m particularly excited about is the fact that this feature could be in the next version of Android OS. HTC just unveiled what could have been or to be more appropriate, should have been the Google Nexus One. I mean, if you’ve been looking for some cool features that Google’s phone don’t have, you might find it from HTC Desire. Ironically, this smartphone is so good that HTC is actually competing against its own product which it allowed to be marked with the Google brand. Anyway, setting aside the allusion to the Nexus One and looking deeper into some known features of the HTC Desire, we’re now looking at a smartphone with the Sense interface, a 3.7-inch AMOLED multitouch Â display with 480×800 pixels, 1Ghz Snapdragon mobile processor, 512MB of ROM, 576MB of RAM, 1400 mAh battery, WiFi, Bluetooth and GPS. But far more important than all those specs is the fact that this smartphone runs Android 2.1 with HTC Sense and it is compatible withÂ Flash 10.1. All of these make the phone at par if not slightly better-spec’d than the Nexus One. Another major difference between the Nexus One and this smartphone is the absence of the useless trackball which is now replaced by a trackpad. We just hope that this serves some purpose when it comes to navigating the phone’s featured options. Google is Developing a Voice Translator Phone, Is This the Nexus Two? The Times Online is currently running a piece about Google’s plan of developing software that will run on a new mobile phone capable of translating foreign languages instantly. Â The said new software will be built on Google’s current technologies in voice recognition which it already employed in the Nexus One and automatic translation. And guess what? Google plans to have this new technology ready within a couple of years. If it will be ready within this year or next, I would have thought that the phone which will carry this feature would be the Nexus Two. 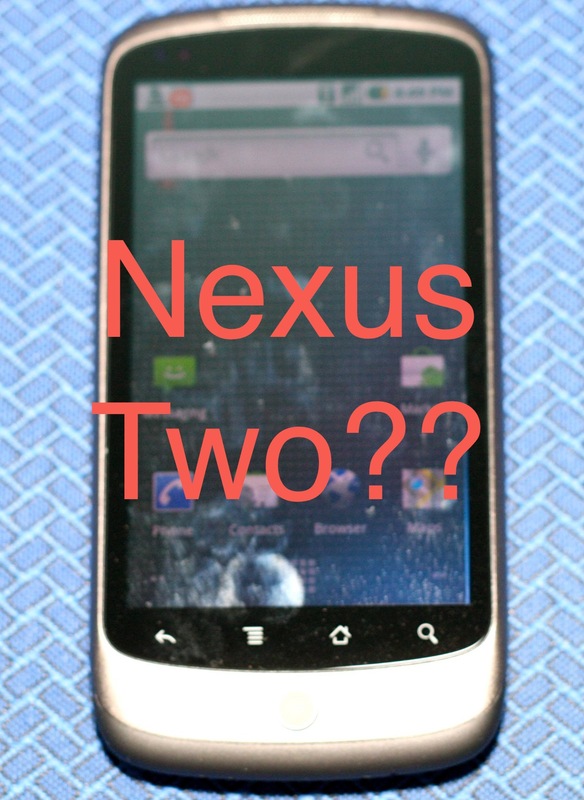 But then again a couple of years will be too long for Google to release a follow up to the Nexus One. So, let’s just consider the new phone which will employ this voice translation feature as the Nexus One’s future iteration. Now going back to the voice translation capable software project, the report said that if this technology works, it could eventually transform communication among speakers of the world’s 6,000 plus languages. And if Google succeeds, this project will certainly have a huge impact in the whole Â mobile phone industry. It may seem impossible, but Google already has the two basic technologies needed to make this Â happen. It was able to implement voice recognition on Nexus One while its web translation service is being honed by scanning million of multi-lingual websites and documents, so far covering 52 languages already. So, it is just a matter of combining these two technologies to produce the software that can understand a caller’s voice and translate it into a synthetic equivalent in a foreign language. What do you think? Will Google be able to pull this project through? If it does, then Google is bringing down the international language barrier soon. And why I do feel like Google may succeed?